Here is the current menu, usually supplanted with daily specials. The terroirs surrounding the quiet pueblo of Cafayate in the Calchachi Valley of Salta province Argentina are becoming known globally for the excellent quality and variety of grapes grown here, with many of the leading wine-makers of Mendoza now setting up operations here. Our MaTaCa blend presents the fruitiness of Malbec with the elegance of Cabernet and the structure of Tannat. This is an eminently drinkable wine, with a smooth balance of acidity and alcohol integrated with subtle notes of oak, chocolate and tannins. While relatively unknown elsewhere, the Torrontés grape is famous throughout the Calchaqui valley and Argentina for its fragrance and fruit, ideal for sipping on a sunny afternoon. Our Bad Brothers Torrontés offers an excellent balance of acidity and freshness with floral overtones typical of high altitudes vineyards. 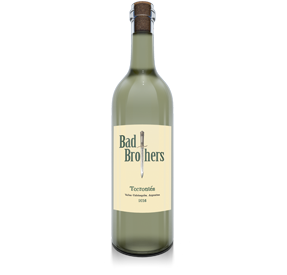 A Bad Brothers Exclusive Blend, we take Cafayate’s hallmark Torrontés and blend in 20% Viognier from a small grower on the outskirts of town. The result is a complex but smooth and easy drinking white with a long and dry finish, a contribution of the Viognier. You have to taste it to appreciate it. 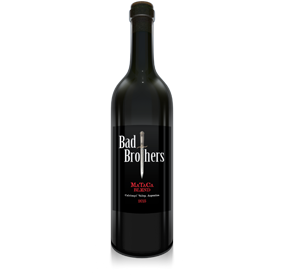 Bad Brothers ultra-premium wines come from single-vineyards with special attention taken to express the unique attributes of these high altitude terroirs. After sampling wines from our iconic collection you'll know why people say, "Bad Brothers make great facón wines!" 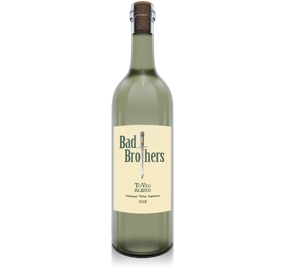 Our Bad Brothers Facón Collection Single Vineyard Malbec is fresh, elegant, delicate with juicy tannins and just the right amount of fruity sweetness. Produced from a single vineyard from 60 year-old vines, our Facón Malbec is a Malbec lover’s dream. Our Bad Brothers Facón Collection Single Vineyard Tannat has great volume in mouth and a very long finish with just the right balance of acidity and the natural sweetness that comes from barrel aging. Produced from a single vineyard with 60 year-old vines, our Facón Tannat is an intense but very drinkable wine for any aficionado of strong reds. 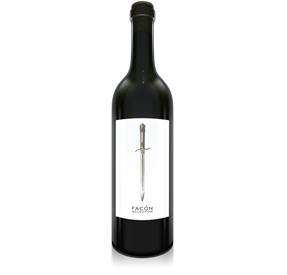 Our Facón Collection Tannat-Cabernet Blend a dry wine that is very big in the mouth. It has the attributes sought after by Cabernet drinkers, but enhanced by the tannins of the Tannat. This is an intense, deeply-colored wine with a strong finish. Bad Brothers Wine Experience is proud to feature winemaker Agustín Lanús extreme altitude Malbec, SUNAL, made from grapes harvested from a vineyard located at 2,728 meters high, one of the highest vineyards in the world. Called one of the "finest Malbecs I have ever tasted" by one of South America's leading winemakers, you have to taste SUNAL to fully appreciate the intensity of the wine made from fruit grown at extreme altitudes, and the special care taken by the winemaker in creating this ultra-premium, limited-edition vine. 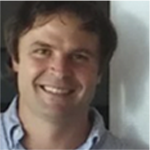 Subsequently, he worked for a number of leading wine making operations around the world, in Italy (Ceretto Aziende Vitivinicole), France (Château Beychevelle), Spain (Bodega Burdigala), Portugal (Quinta Do Malho Lurton) and South Africa (KWV wines), before returning to his native Argentina and the Calchaquí Valley to pursue his passion for making wines from some of the world’s highest-altitude vineyards. Agustín is the lead winemaker for Bad Brothers Wines, a collaboration with renowned Napa Valley winemaker William Knuttel. 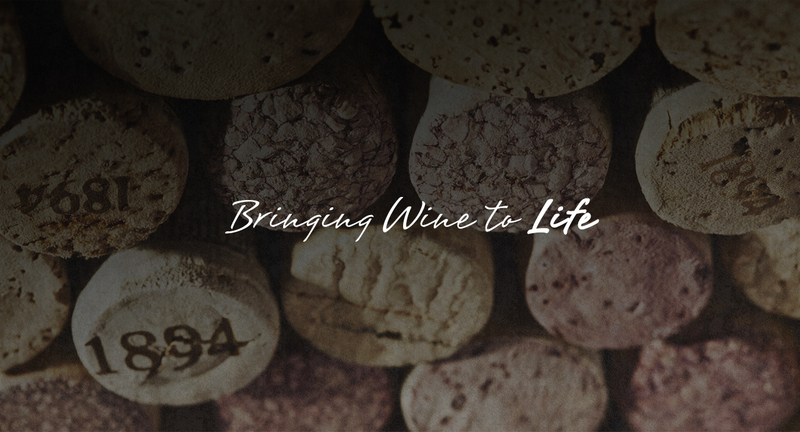 He is also the founder and winemaker for Altos Terruños, producers of the ultra-premium SUNAL brand of extreme altitude wines. 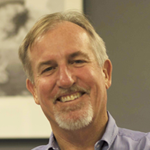 In the United States, he is a partner in two economic and investment research organizations, Risk Hedge and Maudin Economics which together provide in-depth research to hundreds of thousands of self-directed and institutional investors. In his spare time, David is an avid horseman, especially of multi-day "cabalgatas" high into the Andes. 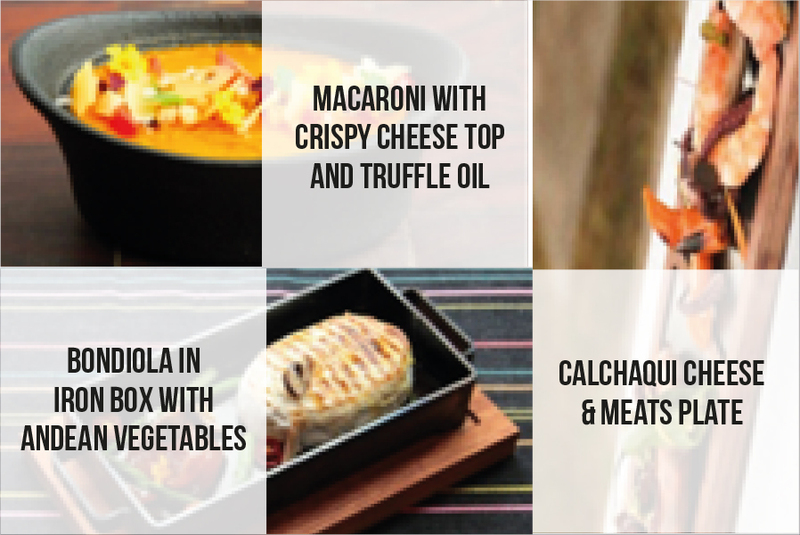 Created by Chefs, Bad Brothers Wine Experience offers a selection of Tapas de Autor, small plates designed to be paired with the wines we offer. Click here for view the menu.